Maleficent is a movie played by Angelina Julie. She is shown to be a kind-hearted beautiful fairy who is in close contact with the nature. But she is then deceived by the love of her life, Stefan and places a curse on his own daughter, Aurora. Dressed all in black and wide horns that soar up high, she looks beautiful and has a bold aura. She is the master of elements such as air, wind and earth and looks quite comfortable in what she does. Magic is her first and foremost activity which defines her personality. Being a fairy she is quite like a mother to the creatures and beings of the forest. Get your hands on this adorable bold and beautiful Maleficent Costume and be the fairy who saves. Be the fairy and forge your own path choosing your own side. The costume is beautifully crafted from polyester material and is pretty much easy to wear. Neither too loose nor too tight, this Maleficent Costume is totally comfortable and can be put on for longer hours. Little girls can be the fairies they always wanted to be. Becoming Maleficent is quite easy for kids. Just get inside the Maleficent Costume for Kids and surprize people with your magic and love. Kids and little girls would surely look cute and way too adorable in these Maleficent Costumes for Kids. In addition to style and comfort, these costumes are quite affordable. Unlike those expensive quinceanera dresses and ball gowns, everyone can have this dress and look beautiful. Maleficent is an adult character played by Angelina Julie and this is golden chance for women to be the fairies and show off their dresses and costumes. Style up your Halloween with our wide collection of elegant Maleficent Halloween Costume Adults at costumesjoy transform your personality. Not only adults, but girls and teens can have this beautiful and bold costume and style themselves up. This very outfit looks pretty much royal and lucky are the ones who get their hands on these. 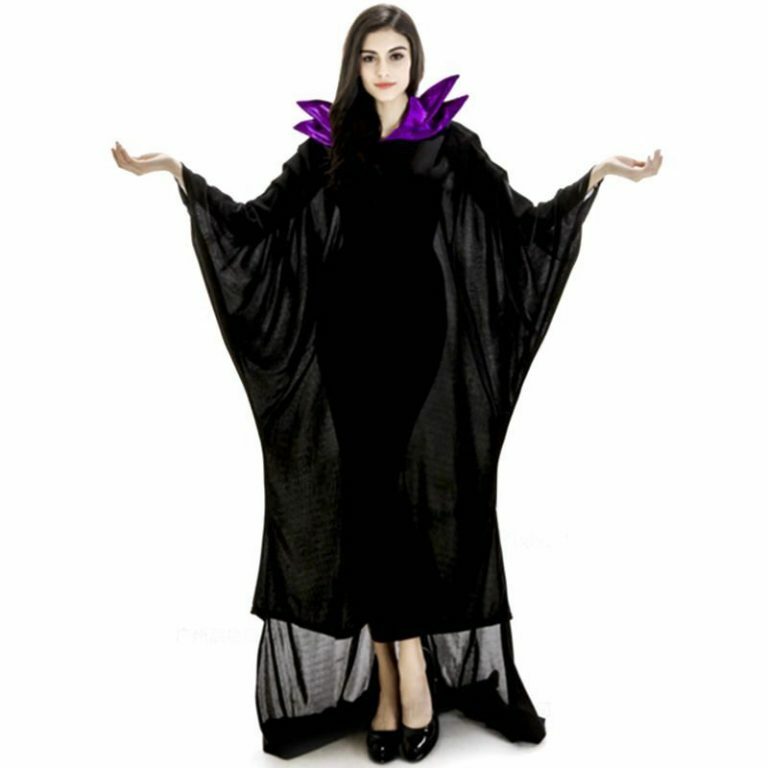 Shop for Maleficent Halloween Costume and get huge discounts. Save time on shopping and get your elegant dresses delivered right at your doorstep. There is a wide variety of Maleficent Accessories to choose from. Ranging from staff, horns, wings, cape and headbands, these additional accessories will make you look like the very character. Maleficent Horns are quite a sight. Round curvy horns that go back up look great. These horns are getting popular among teens, girls, and women who love the looks of a fairy. Talking about the staff, the Maleficent Staff is wonderfully created and delicately crafted. It adds to the beauty and charm of the Maleficent Costume. Other accessories include Maleficent wings. You will not be able to fly but can now pose for great pictures with your loved ones and friends. 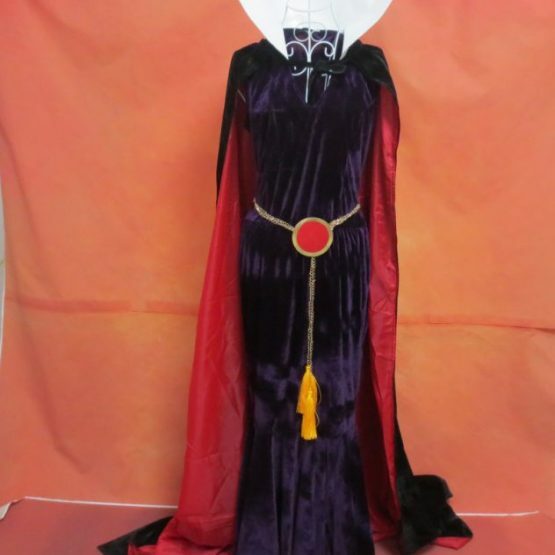 Get the entire Maleficent Costume with accessories online and save sums on those expensive and uncomfortable dresses that make quite huge dents in your pockets.